HONG KONG (Reuters/IFR) - Chinese smartphone maker Xiaomi Corp has lined up $548 million from seven cornerstone investors including U.S. chipmaker Qualcomm Inc for its Hong Kong IPO of up to $6.1 billion, according to a term sheet seen by Reuters. Xiaomi, which also makes internet-connected devices, has set a price range of HK$17 to HK$22 ($2.17 to $2.80) each for its listing in the Asian financial hub, one of the biggest tech floats globally in recent years. Other cornerstone investors include Chinese express delivery company SF Express, domestic telecom service provider China Mobile Ltd, state-backed investment firm CICFH Entertainment and state-run conglomerate China Merchants Group Ltd [CNMGP.UL]. The seven will take a combined 10 percent of the shares being offered, and the company will open the book to intuitional investors on Thursday, according to the term sheet. Xiaomi, China Mobile and China Merchants Group declined to comment. CICFH Entertainment, Qualcomm and SF Express did not immediately respond to requests for comment. The IPO values the Beijing-based, Cayman-domiciled company at $54.3 billion - or $70.3 billion after a 15 percent "greenshoe" or over-allotment option which can be sold if there is demand. If the greenshoe is exercised, Xiaomi's free float will be 9.99 percent of its enlarged share capital. Xiaomi is selling about 2.18 billion shares in the IPO, 65 percent of which are primary, according to the term sheet. The selling shareholders are early investor Morningside, a Chinese venture capital firm, and Xiaomi managers Wong Kong Kat, Liu De, Heng Feng and Li Wanqiang. The smartphone maker is also set to hand Hong Kong's equity bankers one of the biggest paydays in recent years. According to a preliminary offering document, Xiaomi is looking to pay an underwriting commission of 1 percent and an incentive fee of up to 0.25 percent. That means 23 banks on the IPO would share a total fee of about $76 million, if Xiaomi prices at the top of its range. While the sheer size of the deal makes the fees attractive, the commission rate is lower than what Postal Savings Bank of China paid in its $7.6 billion IPO in 2016, the world's biggest listing in four years. The lender paid an underwriting commission of 1.1 percent and an incentive fee of up to 0.5 percent. 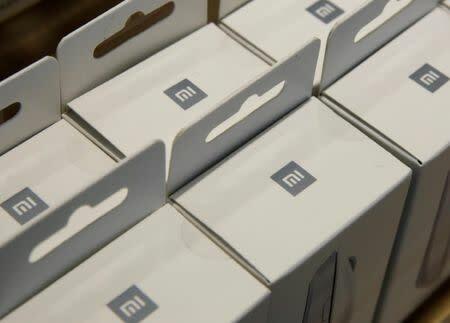 Reuters reported on Tuesday that Xiaomi had lowered its likely valuation to a range of $55 billion to $70 billion following its decision to delay its mainland share offering until after its Hong Kong IPO. The delay was triggered by a dispute between the company and regulators over the valuation of its China depositary receipts (CDRs), sources said, casting doubt on Beijing's efforts to lure foreign-listed Chinese tech giants back home. Xiaomi had been expected to raise up to $10 billion, split between its Hong Kong and mainland offerings. The delay to its CDRs is a blow for Chinese officials, who designed them as a means for China to compete globally for major tech listings and give mainland investors access to the country's tech champions. Xiaomi's blockbuster Hong Kong offering on the other hand is set to be the first listing under new exchange rules designed to attract tech floats, as competition heats up between Hong Kong, New York and the Chinese mainland. China's largest provider of on-demand online services, Meituan-Dianping, also plans to file for a Hong Kong IPO later this week, which would be the city's second multibillion-dollar tech float this year, people familiar with the matter said. Meituan-Dianping said if it had specific plans to raise capital, it would announce them at an appropriate time. The people declined to be identified as the information was not yet public. CLSA, Goldman Sachs and Morgan Stanley are joint sponsors for Xiaomi's Hong Kong IPO.